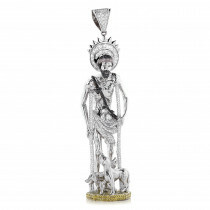 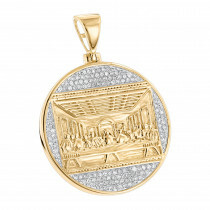 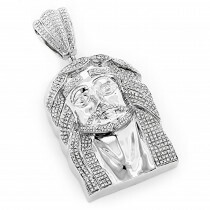 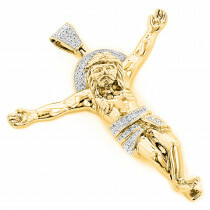 Mens Diamond Jesus Piece Pendants: Buy Luxury Men's Diamond Jesus Piece Pendants. 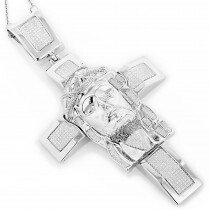 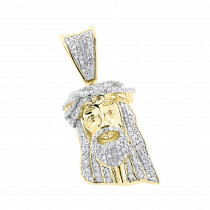 Buy Diamond Jesus Piece At Discounted Prices. 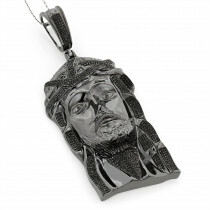 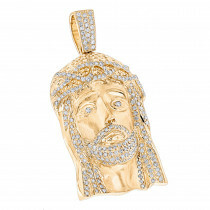 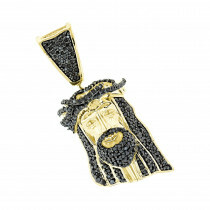 The Jesus pendant is one of the popular jewelry trends today, especially in the hip hop community. 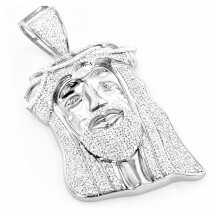 Whether you're a fan of hip hop music or you simply love wearing religious jewelry, our selection of Jesus piece pendants will surely impress you. 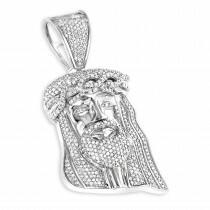 With intricate designs and diamond setting, any of our Jesus face pendants will make a stylish addition to your jewelry collection. 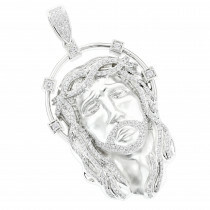 Faith and fashion collide with these well-designed pieces that add a dramatic statement to your wardrobe. 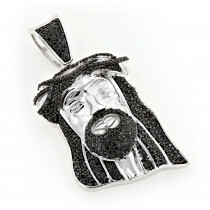 Consider unique black diamond Jesus piece pendant in sterling silver, showcasing genuine diamonds and a black rhodium plating for a very unique diamond pendant or a popular 14k gold mini Jesus pendant covered in white diamonds. 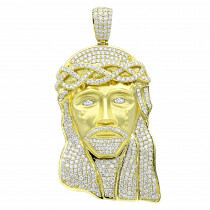 There's also the massive and opulent Jesus head pendant in bright polished 10k solid gold decked out with round diamonds. 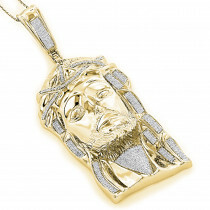 We also have a silver and diamond crucifix pendants with a luxurious yellow or rhodium plating. 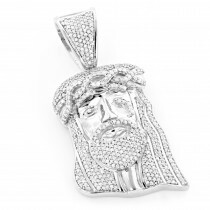 Our diamond Jesus piece pendants are available in a variety of metal choices such as sterling silver, white gold, rose gold and yellow gold in 10 karat or 14 karat and even platinum. 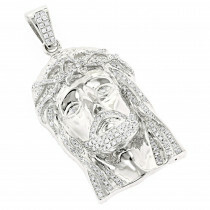 Whether you're looking for a chunky, large-sized Jesus pendant, a mid-size or a micro piece, we have well-crafted pieces to meet your requirements. 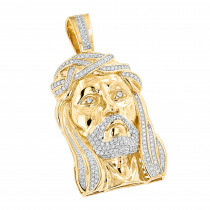 Browse through more than two dozen Jesus piece pendants and find the right piece for you! 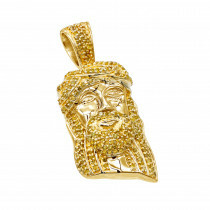 Looks nice with the Cuban link chain. 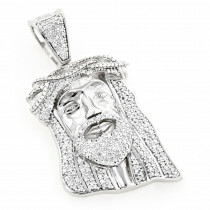 Shines bright and great quality for the price. 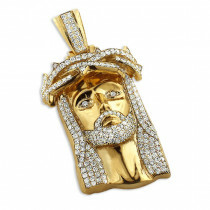 quality is as expected. 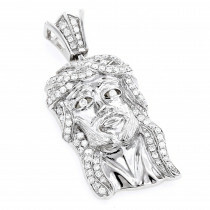 recommend to family and friends? 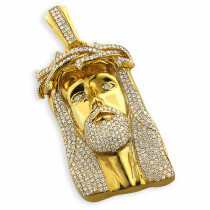 So I'm collecting all the colors in these jesus pendants. 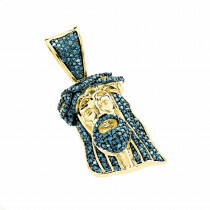 This blue diamond has to be my favorite one. 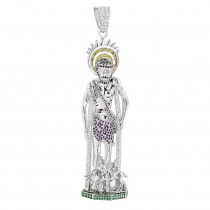 The color and details are magnificent. 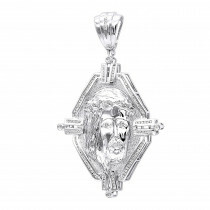 I have the white diamond and red diamond one and love them as well.